Value! Isn&apos;t that we all seek to have? That is what you will find here. Hands down. Sellers have taken such good care of this home and it shows. This beautiful 2300 square foot house with three bedrooms boasts newly refinished hardwood floors that pop, new stainless steel appliances and backsplash in Kitchen along with updated bathrooms are the first things to really catch your eye. The beautiful sunroom is perfect to be enjoyed all year round as it has a free standing fireplace stove including ample storage underneath. The lower level includes a large family room with pellet stove. The property has a nice leveled yard with a 33&apos; X 18&apos; above ground pool with deck, storage shed and patio. It won&apos;t be long before you can open the pool and enjoy some summer fun. For the pet enthusiast there is a terrific room for your canine friend to enter and exit on their own with an automatic dog door leading into a fully fenced area. In addition there is also an invisible fence that surrounds the house. 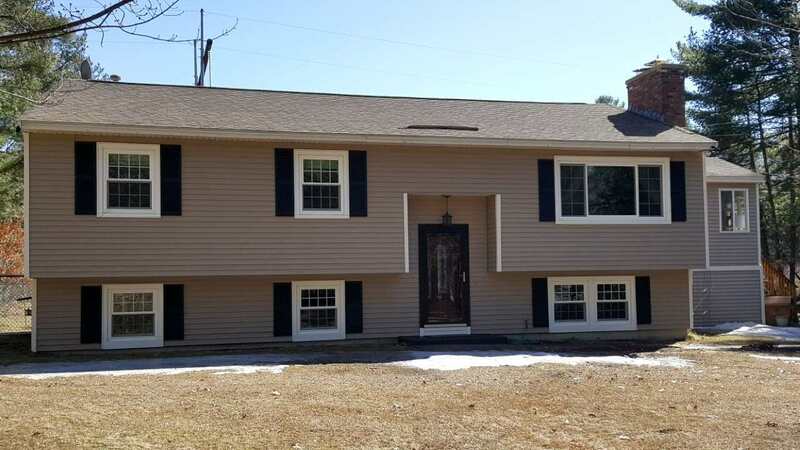 There is nothing to do but move in and enjoy this beautiful home that is located in a much sought-after town in New Hampshire. Showings start at Open House on Sun, 3/31/19 11am-1pm.